Defiance™, the highly anticipated online open world shooter from Trion Worlds and TV series from Syfy Television, is now inviting PC players to sign up for the second “Advanced Mission Beta” event scheduled to kick off on February 8th at 8:00 AM PST and run until 9:00 PM PST on February 10th. Participants in “Advanced Mission Beta 2” will be transported to a futuristic San Francisco bay area, and will take on the role of an Ark Hunter. Part treasure hunter, part mercenary, Ark Hunters are genetically enhanced operatives who are fearless and lethal, dedicated in their mission to recover valuable alien technology and sell it to the highest bidder. This week Trion also launched the Ark Hunter Rewards program for gamers looking to get a head start to their career as an Ark Hunter in Defiance. Numerous six digit alpha/numeric codes have been scattered throughout various game assets released to the public. These codes can be collected and redeemed to unlock 15 different levels of rewards ranging from increased weapon skills to special in-game titles and early access to a vehicle. Participants are encouraged to sign up at<gp_link type=”http” loc=”//defiance.com/arkhunter”>http://defiance.com/arkhunter to take part and start entering codes they’ve found. All rewards will be available at game launch. 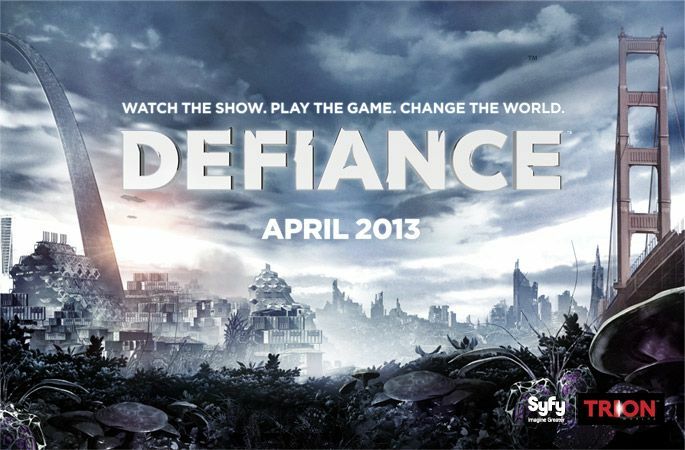 Defiance is scheduled for release in April 2013, and is now available for pre-order.